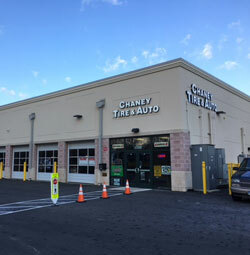 Chaney Tire & Auto has been located at 8001 Old Branch Ave. in Clinton, MD since 1996, expanding our auto repair and tire services to our newest location at 40 Hudson St. Unit 101 in Annapolis, MD. For all your auto service, new tires and wheel needs in Clinton, Bowie, and Annapolis, see the professionals at Chaney Tire & Auto. 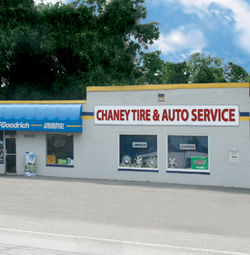 Chaney Tire & Auto is a locally owned and operated automotive service center founded in 1996 in Clinton, MD. We added an Annapolis, MD location in 2015. For auto repairs, or new tires and wheels, come see us in person or request a quote online. Our NAPA AutoCare Centers are owned by Larry Chaney. Our mechanics have been repairing vehicles at Chaney Tire & Auto for the last 19 years. We treat our customers’ vehicles as if they were our own. Visit us today, contact online, or phone us to schedule an appointment today.